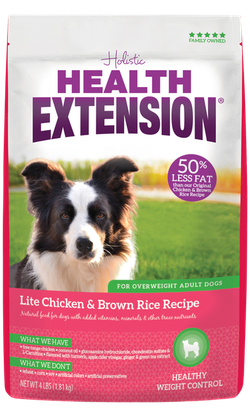 At last there’s a kibble that people and pups can’t find a reason to quibble about! 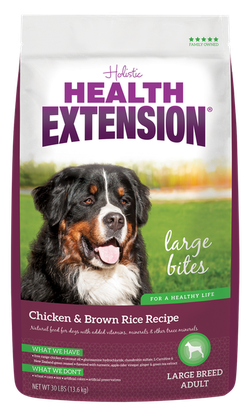 Dogs love Health Extension dry dog food because there are high levels of fresh animal protein in every delicious bite. 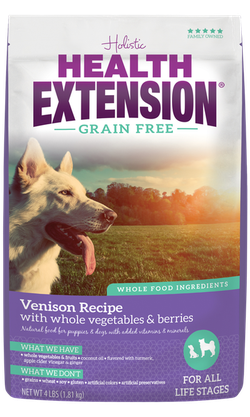 While pet parents will appreciate that these holistic recipes are prepared with natural, whole food ingredients like leafy vegetables, antioxidant-rich berries and pure coconut oil for healthy skin and a glossy coat. Our Grain Free recipes feature low-glycemic, protein-rich ingredients like chickpeas and lentils to help prevent obesity. 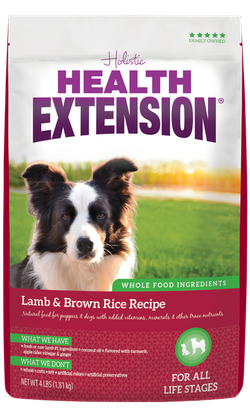 Plus, they’re formulated with a proprietary blend of vitamins, minerals and flavors including organic apple cider vinegar, ginger and turmeric. Our Original Chicken and Lamb recipes contain much the same ingredients, along with a hearty helping of highly digestible brown rice. 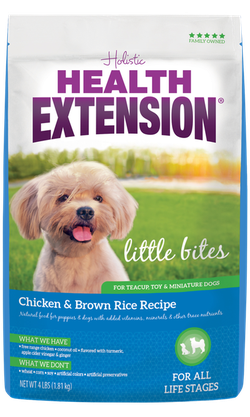 Just like the rest of the Health Extension food and treat line, they don’t contain any artificial colors or preservatives and are 100% GMO-free. 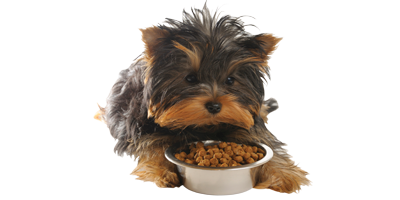 If you’re in search of an outstanding grain free puppy food, here’s more good news – our entire grain free kibble line is formulated to nourish puppies as well as adults. 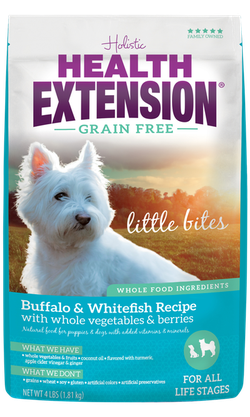 One of our most popular flavors is Buffalo & White Fish Little Bites. 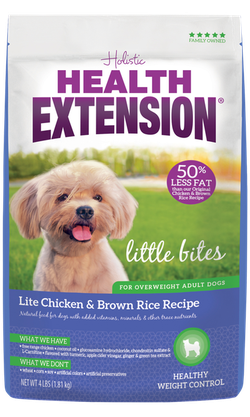 This recipe features a unique combination of proteins and comes in a perfectly sized kibble for your pup. 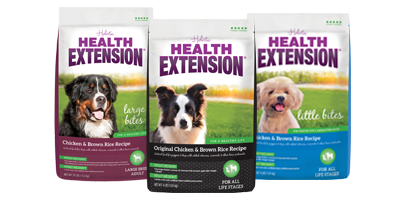 Health Extension dry dog food offers everything canines require for a long, happy and healthy life. 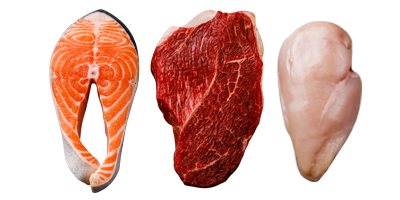 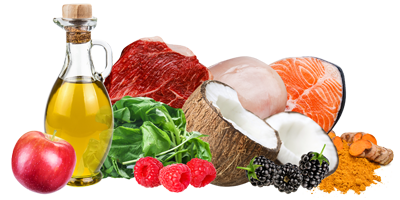 Yet these highly nutritious recipes are available at an amazingly affordable price.